The 2018 jurors are Tod Clark, Gerard Houarner, Mike Lombardo, Monica J. O’Rourke, and David J. Schow. The selectors for the J.F. Gonzalez Award are Brian Keene and Wrath James White. The awards will be presented at Killercon 2018 at the Wingate by Wyndham Conference Center in Round Rock TX, August 24-26, 2018. 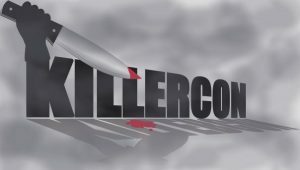 For more, see the Killercon website.